Geneva isn't just about chocolate and fondue, it also has juice bars, vegetarian, vegan, and gluten free food options. It's possible to eat healthy in Geneva, Switzerland, and here's how. After exploring the latest trends in Paris and diving into the new healthy dining options there, I traveled with a friend to Geneva to do more of the same. 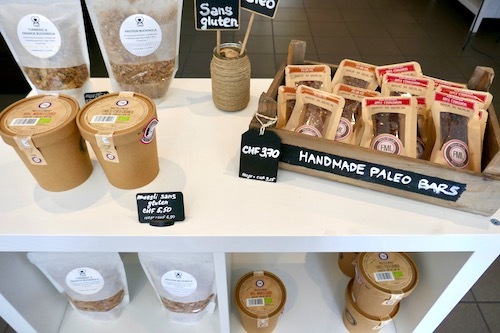 I wasn't sure Geneva would have as many vegan, gluten free, and organic options as Paris, but I was pleasantly surprised that yes, it's definitely possible to eat healthy in Geneva. Green Gorilla Cafe serves nitro cold brew coffee and a whole selection of fresh detox juices. You can make your own poke or rice bowl with veggies and protein, Chipotle style. Or you can grab an acai bowl and granola in the fridge. 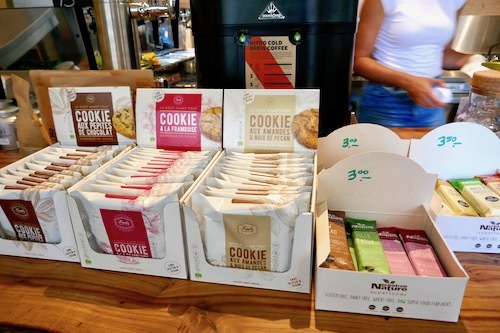 Green Gorilla also has a nice collection of pre-packaged snacks like goji filled bars or gluten free, vegan cookies. 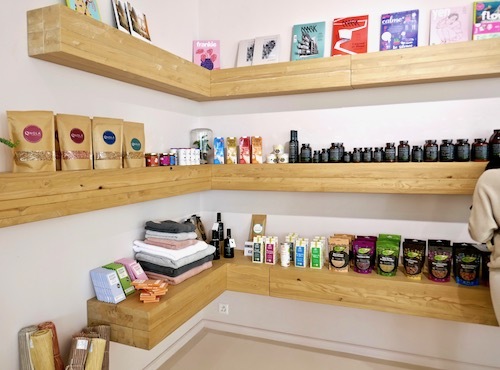 Part wellness center and part cafe, Alive is a clean living lovers one-stop haven in Geneva. They offer daily yoga, pilates, and meditation classes, in addition to having a beautiful cafe out front. You can find a plethora of packaged superfoods as well as homemade sweet treats. Can you say clean eating raw vegan Oreos? Dang, those were good! Qibi is a casual spot in Geneva where you can grab local, organic food to go or to eat in. They also offer delivery of their vegan, vegetarian and gluten free options. There are salads like avocado with lentils and pineapple, as well as wraps with sweet potatoes and tofu. Mu Food works with local farmers to get seasonal, biodynamic ingredients for their dishes. You'll find vegetarian and vegan fare like carrot - beet salad with figs, and bento boxes filled with quinoa and millet with tofu and wakame. If you're just looking to grab some healthy food to go, check out Yogifoods. They produce 100% organic, raw food that's gluten free, dairy free and vegan. You can even take a cooking class with them to learn how to prepare nutritious meals. 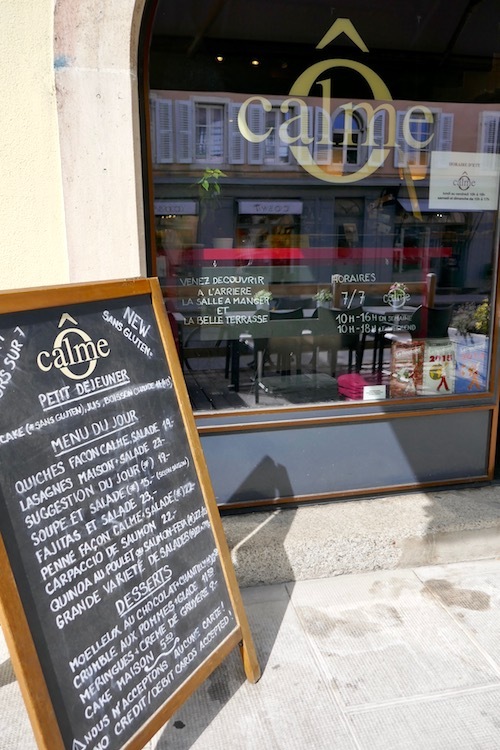 You should definitely explore the beautiful Carouge neighborhood while in Geneva. Not only will you see pretty artisan workshops and products, but you'll also find some healthy food options. Calme has a pretty little garden tucked away in back where you can enjoy many different salads and quinoa bowls piled high with vegetables and a protein of your choice. Everything is gluten free. Just down the street from Calme is the Detox Corner. They offer entire cleanse programs, as well as grab and go juices, healthy products, gluten free granola and paleo bars. It's a good place to stock up on snacks for your travels. Geneva also has a lot of open markets and food halls where you can pick up your own food for a picnic or night in. La Halle de Rive has everything under the food umbrella from fresh produce to butchered meat, marinated seafood and cheese and charcuterie. Globus is a big department store in Geneva and they also has a large food hall attached. There's pasta, tapas, juices, and even a wellness corner to grab whatever suits you. A note about food prices in Geneva. They're outrageous! We had a chicken sandwich at a casual cafe the afternoon we arrived and it was $42!! Food is VERY expensive in Geneva, so choose wisely. If you're looking for more options at night for dining and cocktails, check out my post about the one street in Geneva you need to hit. Looking for other healthy eating cities?